Her mother’s third marriage is only hours old when all hope for Clare’s fifteenth summer fades. Before she knows it, Clare is whisked away to some ancient cottage on a tiny marsh island on Cape Cod to spend the summer with her father—a man she hasn’t seen since she was three. Clare’s biological father barely talks, and when he does, he obsesses about endangered turtles. The first teenager Clare meets on the Cape confirms that her father is known as the town crazy person. But there’s something undeniably magical about the marsh and the island—a connection to Clare’s past that runs deeper than memory. Even her father’s beloved turtles hold unexpected surprises. As Clare’s father begins to reveal more about himself and his own struggle, Clare’s summer becomes less of an exile and more of a return. 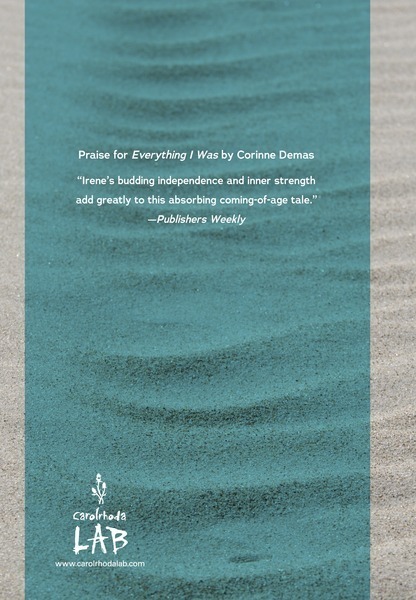 Corinne Demas is the award-winning author of numerous books for children and adults, including two short story collections, three novels, a memoir, and a collection of poetry. 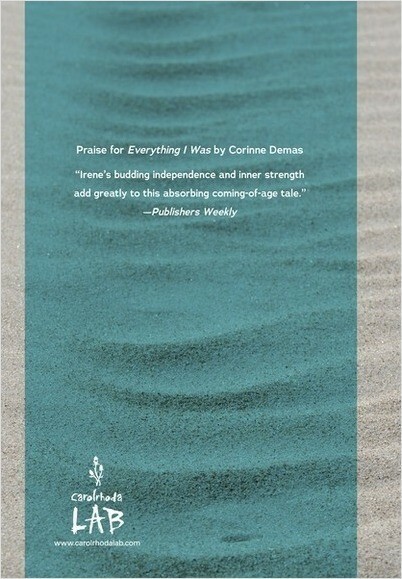 Her picture books include Always in Trouble, Saying Goodbye to Lulu, and The Littlest Matryoshka (written under the name Corinne Demas Bliss). 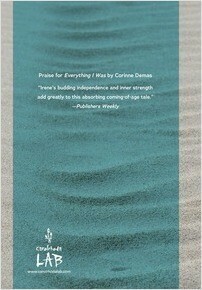 Her new novel, The Writing Circle, was published this past summer. She is a Professor of English at Mount Holyoke College and a Fiction Editor of The Massachusetts Review. She lives with her family, her dog, and two miniature donkeys in Western Massachusetts and spends the summer on Cape Cod.